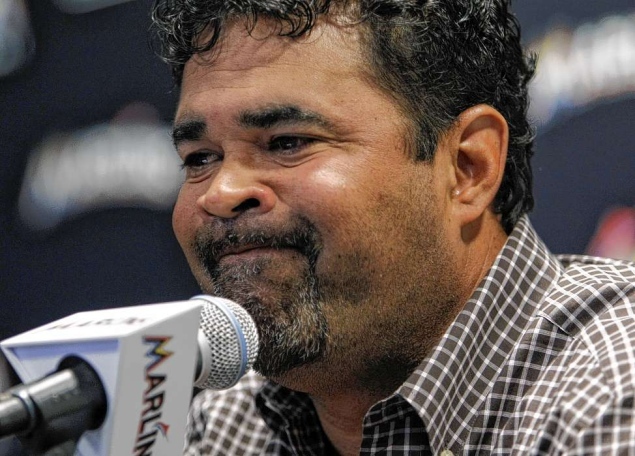 Reports have flooded national and local media outlets of the outlandish comments made by Florida Marlins Manager, Ozzie Guillen. Usually, a person’s individual comments manage to muster a small outcry of outliers that are “offended” by this or that. This time the enigmatic manager has managed to enrage an entire population of displaced refugees. Guillen made remarks to Time News online during an interview in which he said that he both “loved” and “respected” Fidel Castro. What is the big deal? Fidel Castro has been 90 miles south of Florida running Cuba for more than 50 years. Most of us have only read about the man. We all know about the Cuban Missile Crisis from the 60’s but thats about it. Now, as a former history major, I recall a tad bit more than the average person my age and I realize that what Ozzie did was very, very insensitive to say the least. Lets put a little perspective on this, Ozzie has been more than outspoken in his career as both player and manager. This is one reason his celebrity has lasted as long as it as, well, and the fact that he is pretty good at the whole baseball thing. If he were to have said this as the manager of just about any other team in the world it may have made a ripple in the grand scheme, but it didn’t happen anywhere else in the world. It happened in the one place that has more Cubans per capita than anywhere else save Cuba itself. Think about it, some of these Cubans risked their lives to cross 90 miles of open ocean on little more than a pool float to make it to the freedom and promise of a better life here in America. The last thing i would assume that they would want to hear is some off the cuff remarks of a millionaire baseball manager lauding the praises of one Fidel Castro. It seems to me like a slap in the face and I can’t say that I blame them all that much. Lets say Joe Torre or John Fox come out in an interview and speak on how much they respect and love the courage and ingenuity of Adolf Hitler? What do you think would happen then? I’d be willing to guess that they would be thrown to the court of public opinion and torn limb from limb. I’m not saying that they are the same thing but I’m pretty sure you get my point. Just the thought of praising a man such as Fidel Castro or any person who has brought evil and tyranny to their own people should be enough to make one at least pause and contemplate the consequences of such a statement. On the other hand, Guillen has never apologized for anything in his life and that is to be respected I suppose, but in this case Guillen has apologized to a fault coming as far as to tear up in his apology to the latino people as a whole. And for that I do commend him, however, this could all have been avoided with a little self-censuring or even just a splash of common sense. You are in Miami Ozzie! Think man, Think!